Epilepsy Action Australia - Have you heard of SUDEP? One year on from the 2017 announcement of their collaboration to share vital epilepsy risk information across Australia, SUDEP Action and Epilepsy Action Australia (EAA) are continuing their positive work together. With epilepsy affecting approximately 250,000 Australians, the partnership is keen to show the need for further interventions, which would support risk communication and management between clinicians and people living with epilepsy. Many people are unaware of the risks associated with epilepsy and the existence of Sudden Unexpected Death from Epilepsy (SUDEP) which is not often spoken about and this important ground work has the potential to improve epilepsy risk awareness and management, which has the potential to save lives. Carol Ireland, Chief Executive Officer of Epilepsy Action Australia, says: “Our collaboration with SUDEP Action is fuelled by the clear demand in Australia from clinicians and people living with epilepsy for more support in managing their condition. It is great to work with SUDEP Action to meet this need and EAA are proud to support SUDEP Awareness Day. 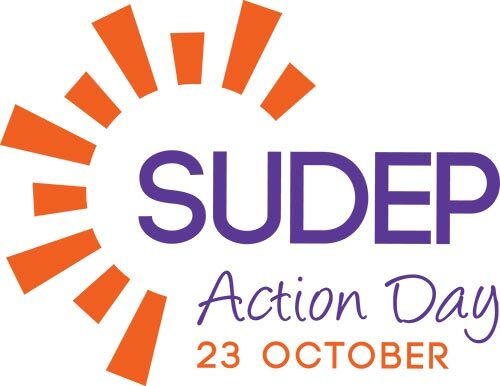 This year’s International SUDEP Action Day is on Tuesday 23 October. This day is dedicated to raising much-needed awareness of epilepsy risks and taking action against this silent but tragic consequence of epilepsy. It is also an opportunity to highlight the positive relationship and work already being done to tackle epilepsy-related deaths. SUDEP Action CEO, Jane Hanna OBE said, “This is an exciting collaboration which is now in its second year. We know there is much that can be done now to reduce risks and look forward to working with Epilepsy Action Australia to achieve this across Australia. According to Epilepsy Action Australia CEO, Carol Ireland: “This SUDEP Action Day, I urge you to find out as much as you can about SUDEP by reading some of Epilepsy Action’s more detailed information here and then contact your doctor if you have any concerns about you or your family member’s medication and seizure control. If you would like to become involved in helping promoting awareness, the official SUDEP Action Day page has a wealth of ideas including changing your social media covers or publicly displaying some of the great information posters available to download. The Danny Did Foundation has joined epilepsy organizations in the United States, Europe, Australia and around the world to recognize October 23rd as a global awareness day for Sudden Unexpected Death in Epilepsy, or SUDEP. The goals are to advance awareness about SUDEP, to encourage people with epilepsy to learn about SUDEP and their individual risk, and to honor the lives lost to the most common form of death in epilepsy. This international collaboration has grown strong since 2008, and now in 2018, there is a multi-faceted movement to understand and prevent SUDEP. Initiated by families and advocates who were desperate for answers, this movement now includes scientists, clinicians, medical examiners, non-profit organizations, and governmental agencies. This broad group of stakeholders has rallied to end sudden death in epilepsy by launching innovative research projects, awareness and educational campaigns, and bereavement support services. Earlier this year, action in the U.S. featured a multiday event devoted to epilepsy mortality known as Partners Against Mortality in Epilepsy (PAME). The fourth PAME meeting took place June 14-16th in Alexandria, Virginia. Details about PAME are at http://pame.aesnet.org/. UK-based nonprofit SUDEP Action – which created SUDEP Action Day – has participated in PAME meeting since 2012, enabling a deepening of the relationships across the pond and the opportunities to advocate together. The Epilepsy Foundation of America is among the nonprofits supporting SUDEP Action Day on October 23rd. 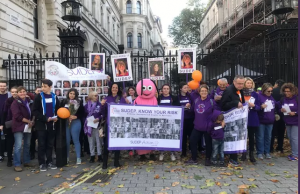 “This is the 5th time that we will celebrate SUDEP Action Day, which includes the opportunity to honour the special relationship with bereaved families in the UK and in the U.S and around the world. The SUDEP movement requires action and advocacy daily to bring us closer to prevention, but October 23rd is an especially powerful day when we can all share common messages and raise our voices together. Epilepsy (SUDEP), strives to improve communication about SUDEP between medical professionals and families affected by seizures, and advocates for the mainstream acceptance and use of seizure detection and prediction devices that may assist in preventing seizure-related deaths. Epilepsy Organisations in the United States, Europe, Australia and around the world have joined to recognize October 23rd as a global awareness day for Sudden Unexpected Death in Epilepsy, or SUDEP. The goals for this day are to advance awareness about SUDEP, to encourage people with epilepsy to learn about SUDEP and their individual risk and to honor the lives lost to the most common form of death in epilepsy. This international collaboration has grown strong since 2008, and now in 2017, there is a multi-faceted movement to understand and prevent SUDEP. Initiated by families and advocates who were desperate for answers, this movement now includes scientists, clinicians, medical examiners, non-profit organizations, and governmental agencies. This broad group of stakeholders has rallied to end sudden death in epilepsy by launching innovative research projects, awareness and educational campaigns, and bereavement support services. Progress in the U.S. is supported by a multi-day event devoted to epilepsy mortality known as Partners Against Mortality in Epilepsy (PAME). The fourth PAME meeting will be held June 14-16, 2018 in Alexandria, Virginia. Details about PAME are at http://pame.aesnet.org/. The Epilepsy Foundation of America and the Danny Did Foundation are among the nonprofits supporting SUDEP Action Day on October 23rd. UK-based nonprofit SUDEP Action – which created SUDEP Action Day – has participated in PAME meeting since 2012, enabling a deepening of the relationships across the pond and the opportunities to advocate together. 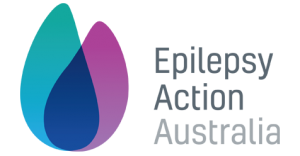 The first phase of this project has seen Epilepsy Action Australia adopt SUDEP Action’s new information pages on epilepsy risks, mortality and risk reduction. They will also be distributing specially adapted versions of our information leaflets to clinicians, families, and people with epilepsy across Australia; starting with SUDEP Explained for Health Professionals and Reducing Risks leaflets. Exposure and supporter activity was busy for the 2017 event.